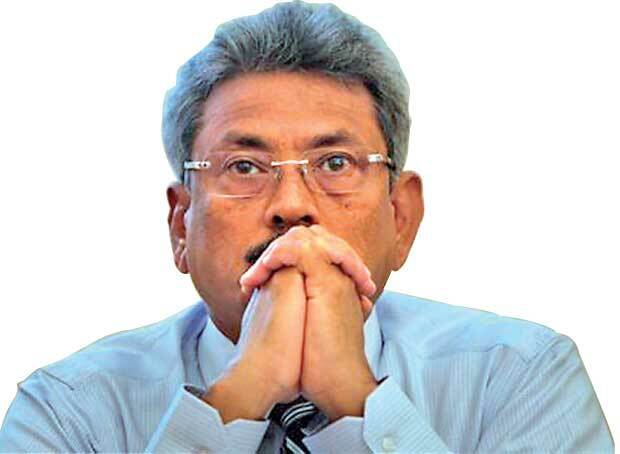 Government must be really disappointed that police still couldn’t find a valid reason to arrest former Defence Secretary Gotabaya Rajapaksa. Any foreigner who reads the above opening statement of this article may wonder what is happening in this country. A government is looking for reasons to arrest people? Such things happen only under dictatorships, fascist regimes and undemocratic circumstances. An interesting document that police and the AG’s Dept. hid from even courts has now surfaced. But this is the sad reality in Sri Lanka today. 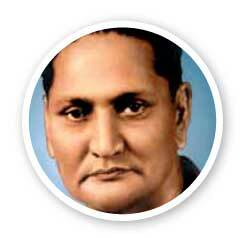 Since the current government came to power promising good governance, we only see the exact opposite being practised. The entire government machinery is targeted towards harassing the current and potential opponents. The laws are twisted at will to achieve the sinister motives of the ruling politicians. Over the last three years, if the government had been effective in just one thing that is the abuse of the legal system and the police powers. Thousands of people have been questioned by the CID, Bribery Commission, presidential commissions and of course by the FCID whose legality itself is in question. Every time one of these institutes start an inquiry about a politically important individual, the information is passed on to the media quickly and the usual media show begins. If the target is very important, then it is quite likely that a charge is framed under the Public Property Act. Why public property act? That is because under the public property act the magistrate courts have no powers to grant bail to those who are arrested by police unless there are some exceptional circumstances justifying bail. That is how those who manipulate the case can enjoy keeping the victim in remand custody for several weeks or months. Once the person is framed as a suspect and remanded, the government media is used to completely tarnish the image of the suspect. Sadly the private media follows suit due to its news value. The target is no longer a suspect. He is already projected as a culprit. Long before an indictment is even served the persons character is completely destroyed in the public eyes. To the outside world now he is positioned as a criminal who misappropriated public funds. How many times have we seen this drama being played over and over again. Since the current government came to power, they have conducted a number of inquiries on Gotabaya. Public may remember only a few. Investigations on Avant Garde maritime services, Rakna Araksha security services, MiG aircraft, attacks on some journalists, Welikada prison massacre and the D. A. Rajapaksa memorial were just a few of them. Even after three years of investigations government has so far not been able to find anything that former defence secretary has actually done wrong. This has led to huge frustration in the government quarters. With three years of their tenure expired and only two more years to remain in power, the government leaders are desperate to tarnish the image of Gotabaya who is gradually gaining acceptance as a potential national leader at a future election. Therefore it looks like they have now settled for the last resort of framing Gotabaya on a public property misappropriation charge on the construction of the D. A. Rajapaksa memorial in Weeraketiya, Hambanthota. Accordingly, the FCID sought advice from the AG’s Department a few weeks ago to arrest and question seven people including Gotabaya. It was widely reported that AG’s department had given the consent and the arrest was imminent. However the legal team of the former defence secretary wasted no time and filed a writ in the appeal court against the conspiracy of FCID to charge him using the public property Act provisions. Their argument was that if at all it should be a civil case related to a dispute over a contract and not a criminal case that can be charged under public property. The courts responded positively and prevented the imminent arrest having favourably considered the arguments of the councils. The case is still continuing. What is important is that the courts have observed that there is no prima facie evidence of any wrong intention or a misappropriation in this case. Now let us analyse the facts related to this case to understand how FCID is manipulating this whole issue to please their political masters. It was in early 2014, the D.A. Rajapaksa foundation had come to an agreement with the Sri Lanka Land Reclamation and Development Corporation (SLLRDC ) to obtain their assistance for the construction of a memorial and a museum at Weeraketiya. The minutes of the 537th Board meeting of SLLRDC confirms a decision of the board to construct this memorial. The intention to recover the cost from the D.A. Rajapaksa foundation is evident from the correspondences between the two parties. The foundation has paid the SLLRDC Rs. 33,944,741.60 on two occasions. In the process, SLLRDC had informed the foundation that they would submit a final bill, which was a clear proof of a contractual agreement to deliver a service. So how did the government get involved and create an issue here? As we all know, in August 2017 the parliamentary elections were held and a new minister took charge of SLLRDC. Thereafter a bill was sent to the D. A. Rajapaksa foundation claiming Rs. 81,313,374.14 as total dues. This is where the dispute is currently because the foundation is of the view that they have already paid for the services provided by the SLLRDC whilst the latter demands settlement of a further Rs. 56,313,374.14. This calculation is fundamentally wrong because it has taken into account only Rs. 25,000,000/- of the Rs. 33,944,741.60 that the D.A. Rajapaksa foundation has already paid. It is very clear that under someone instructions SLLRDC meddled with the final bill just to create an issue. Even if there is a dispute on the bill value, still it is a civil dispute between two contractual parties; the D. A. Rajapaksa foundation and SLLRDC. Then how come FCID gets involved and goes to AG’s department highlighting a criminal misappropriation of public funds? This clearly shows the political motive behind this whole episode. Interestingly, Gotabaya was never part of any of these discussions. His name has been dragged in purely based on the fact that he was the secretary to the ministry of the UDA at the time the D. A. Rajapaksa memorial was built. What a long path the government has taken to trap a political opponent. An interesting document that police and the AG’s Dept. hid from even courts has now surfaced. Its a document that Gotabaya’s lawyers have gained access to using the Right to Information Act. This is a valuation done by none other than the chief government valuer on the request of FCID. In this letter dated July 3, 2017 the chief valuer asses the construction cost of the D.A. Rajapaksa memorial and museum as Rs. 33,759,000/- . In that case the D. A. Rajapaksa foundation has already paid more than the actual construction cost, in reality, the SLLRDC should return Rs. 185,741.60 to the foundation. It is very clear that FCID and the AG’s Department are conniving together with the current management of SLLRDC to fabricate a story that will tarnish the good will of Gotabaya Rajapaksa. The current leadership of the country is continuing its disgraceful behaviour of trying to deceive the public with loads of lies. There is an old saying that “One can fool some people all the time and all the people some times. But no one can fool all the people all the time”. People of this country have begun to realize that they have been taken for a good ride by the current leadership. No longer they are willing to accept these lies. The writer also sounds remarkably like Gotabhya Rajapakse in tonality and argument.